We are posting this blog from Norway where we came to support and present at the annual “Mixer” which supports entrepreneurialism at the Norwegian University of Science and Technology (NTNU) in Trondheim. This is the largest technical university in Norway and has a robust entrepreneurial program and brand. This was our first time in Norway, and we were impressed with the country and the culture. Here is a modern, wealthy country with clean streets, a litter-free environment supported by on-going environmental education starting in kindergarten, and a government that promotes conservation, health and alternative transportation. For instance, if you buy an electric vehicle, the tax is a fraction of what it would be on a gas-powered vehicle. We were told that more Tesla electric cars are sold here than any other country in Europe. At NTNU, electric cars get special free parking close to the classrooms and free recharge! Bicycles are the preferred method of transportation and they even have studded tires for the snow. A comprehensive bicycle path network extends out in all directions. Walking as a means of transportation is common and most Norwegians are in great shape. They think nothing of walking 10 kilometers per day, even when the temperature dips down to freezing. Hiking trails are everywhere with an interesting twist: The country has a tradition of giving its citizens access to the land, even private lands but it comes with a responsibility to respect and protect any private property you may traverse. Public transportation is dependable, clean and either electric or natural gas powered. Most of the students are without automobiles. Solar panels are everywhere and so are wind turbines. The buildings are constructed to be energy efficient with triple-paned windows and convection designs. The parks are immaculate and there’s an understanding among all citizens that one just doesn’t litter or pollute. It’s all part of their healthy and fit life style. Comprehensive recycling programs abound with trash receptacles clearly marked for plastic, organic, paper, metal or other. At NTNU several of the students are starting businesses that convert recycled materials into new products. 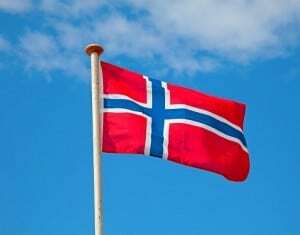 Norway has a high percentage of literacy, secondary education and world travelers. They pretty much all speak English and are very helpful with directions and suggestions. Americans are popular and will feel right at home. The food was surprising tasty for a cold country with a limited growing season. The vegetables were fresh, the meats were lean and grass fed, the salmon and halibut were locally sourced. The culture and social conventions are a little different from ours but perhaps a little more sincere. For instance, you only shake hands upon first meeting because they may think you don’t remember them if you do it again later on. Don’t smile at strangers lest you be considered drunk, insane, or a foreigner. Cheek kissing is out, but touching cheeks as a sign of friendship is in. And when you are a friend, it’s for life! They have a great sense of equality and distain any outward show of wealth or position. We saw another conference going on that was a national group committed to treating boys and girls equally in kindergarten where they believe role types and expectations are instituted. And at our talk, over half the students of entrepreneurship were women. During our visit to Norway, we couldn’t help but think that this is the healthy future we all strive for and it’s here now! 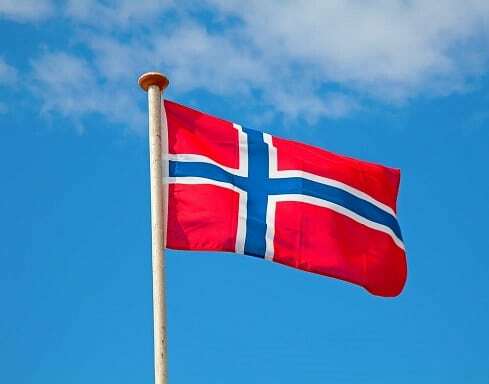 From environmental preservation to thoughtful recycling; from alternative transportation to healthy lifestyles; from locally sourced food to social equality, Norway is a country we can all learn from. We’ll be back!